The moral of this is clear. Unless we invest in our children and young people today, they might become a threat or a burden in the future. As the international community commemorates World Population Day on July 11, Africa’s growing youth population should be recognised as a ‘powerful force for change’ that requires greater investment today. Judging by the current challenges confronting young people, the extent to which African countries are investing in the youth is unclear. According to the Africa Regional Review for the International Conference on Population and Development (ICPD) the continent is experiencing substantial demographic shifts, which have seen about 21 million persons a year being added to the population since 1994. Africa has the youngest population and will remain so for decades in a rapidly ageing world. By 2050 “the median age for Africa will increase to 25, while the average for the world as a whole will climb to about 38”. The fertility rate on the continent is decreasing gradually and the new generation of young people will probably have fewer children than their parents. This demographic shift will also mean fewer elderly people and children to support than previous generations. Undoubtedly, demography will greatly shape Africa’s position in the global markets for labour, trade and capital. The phenomenon is what economists call a ‘demographic dividend’, which they argue is a one-time window of opportunity to create wealth and economic growth. But failure to invest in this demographic also comes with its own challenges. Maternal mortality and HIV/AIDS are the two main causes of death among young women aged 15 to 24 years in sub-Saharan Africa. Nearly everywhere, adolescents are inhibited from freely exercising their right to, for example, comprehensive sexuality education, contraceptives and sexual and reproductive health services. In many African counties, more than 40 per cent of young women aged 20 to 24 were married by age 18. Also in the countries with high child marriage rates – Niger, Mali, CAR, Guinea, Sierra Leone, Nigeria, Ethiopia, Mauritania, Madagascar, Uganda, Senegal, Malawi, Cameroon and Libya – many girls are married off by age 15. That is why investment in Africa’s youthful population from multiple angles, and primarily from the public and private sectors, is essential for realising the demographic dividend. 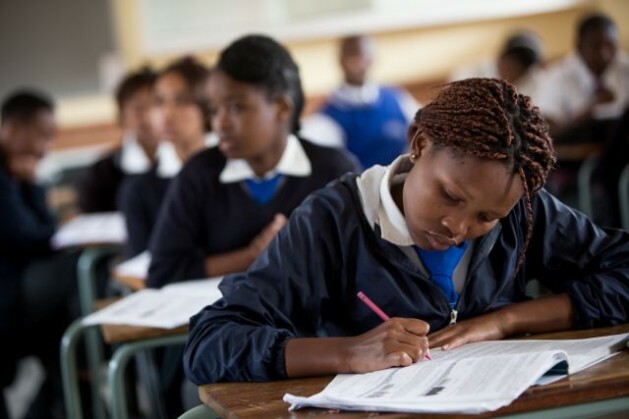 Africa’s largely youthful population makes up the next generation of workers, parents, and leaders and their challenges can no longer be ignored. Getting the best from the increased youth bulge in Africa can only be assured when appropriate health and development plans, policies and programmes are put in place and adequately implemented. Adebayo Fayoyin is the Regional Communications Advisor for the UNFPA East and Southern Africa Regional Office. I would love to have faith in what Africa could be, but everything I have seen or heard…Africans just cant govern themselves.